As you know, you're not alone. 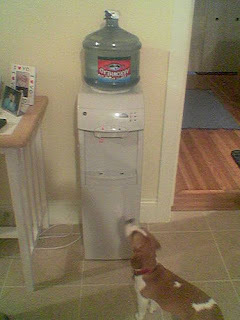 Bring back another "secret" water cooler for the advantageous cool kids to use! This has not been a good couple of days for Twitter. I'm not sure what they were thinking our reaction would be, but if they thought this 2% would only be a little upset, I think they "misunderestimated" us! The next 48 hours will be very interesting. I vote for plurk! Come over to the dark side. I like http://identi.ca since it's open and easy and you can crosspost so if one's gone you still have the other. The first company/service that does this will literally take over the social media world. Especially if they have a new tool that can parse English and gives you the option to view a conversation or "thread" in its entirety. Of course we'll just get further lost in awesome conversations and keep finding more and more great people to follow. But it's a price we're willing to pay dammit. just trying to get it out there. I need a new water cooler too, please give me some recommendations!